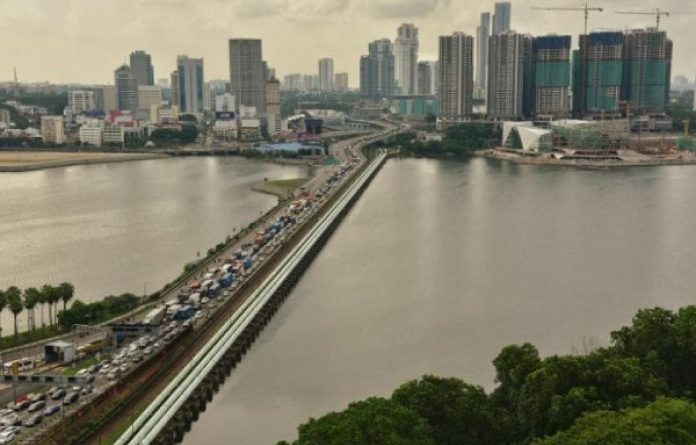 JOHOR BARU – Three districts have been hit with water disruption due to the high-level of ammonia pollution found in Sungai Sayong. The affected districts are Johor Baru, Kulai and parts of Kota Tinggi since Thursday (April 4). The pollution disrupted water supply to 141 locations within the three districts. In Kota Tinggi alone there are 45 disruptions, and among the locations are Taman Daiman Jaya, Taman Merdesa, Felda Pasak, Tai Hong, Kota Kecil, Desa Sejahtera, Kampung Kelantan, Kampung Jawa and many others. Among the affected areas in Kulai are parts of Bandar Putra, parts of Indahpura, Bandar Kulai, Taman Impian Jaya, the whole of Jalan Saleng and many others. It was reported that Johor International Trade, Investment and Utility Committee chairman Jimmy Puah Wee Tse said that a reservoir at a bio-composite centre next to an oil palm refinery in Sedenak had burst, causing the ammonia-contaminated water to flow into Sungai Sayong, which is one of the creeks that supply raw water to Sungai Johor. Puah, who is also Bukit Batu assemblyman, said the incident occurred at around 7am on Wednesday (April 3). “At around 6.30pm, both the Sayong 1 and Sayong 2 water treatment plants had to be shut down as they could not process the raw water due to high levels of ammonia,” he said in a statement Thursday (April 4). He said as a result of this, at around 5.30am and 11.30am on Thursday, the Semanggar and Sungai Johor water treatment plants had to be shut down. Puah added that the Tai Hong water treatment plant, operated by the Public Utility Board (PUB), also ceased operations. He said authorities had taken the necessary action against the oil palm refinery by cancelling its raw water abstraction licence and serving a compound notice following the incident. “The Johor government will not compromise over the incident, and the Johor Water Regulatory Body (Bakaj) has cancelled its water abstraction licence with immediate affect,” he added.